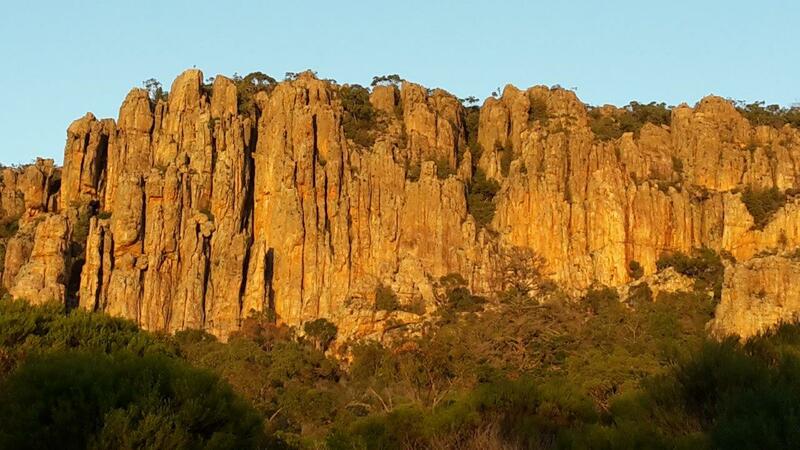 Mt Arapiles in summer? 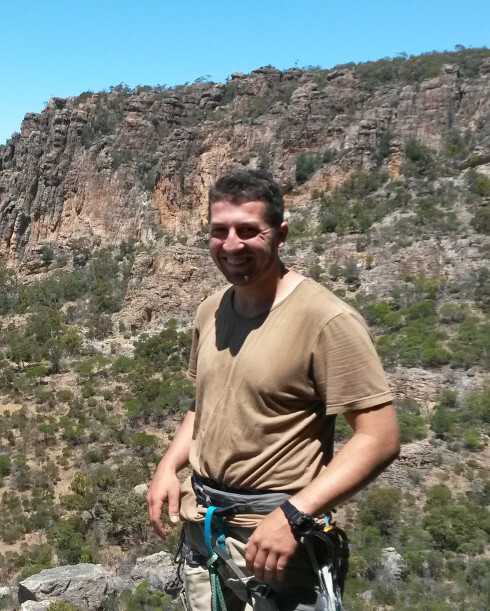 Arapiles in late February can provide some excellent climbing. Enjoy the cool and shady gullies or the routes on the left side of Central Gully. Get up (reasonably) early and enjoy the sun’s rays on the nearby classics and well-worn trade routes in the Organ Pipes. Maybe explore some new areas. All those famous walls and prominent buttresses of Arapiles have shady gullies nearby! These gullies sometimes have cool breezes emanating from the ‘bowels of Araps’. We will be camping in The Pines, close to the action. There is no better rock to fondle than the hard quartzite of Arapiles, so contact your Trip Leader, Rhys Boyar, to register your interest. Photos: Trip Leader Rhys Boyar and the Organ Pipes at sunrise.